In lieu of flowers memorial donations may be made to Brant's college fund and left at the funeral home. On December 20, 2011, Heaven received an angel when Mandi Lynn Eslinger Vinchattle, age 37, of El Dorado Springs, passed away suddenly in her home of heart complications. She was born January 25, 1974 to Larry and Kristi Eslinger. Mandi attended school at the El Dorado Springs R-2 Schools, graduating in 1992. She was baptized May 3, 1992, in the First Baptist Church of El Dorado Springs. Later, she attended the Church of God Holiness. She was employed in the lab at Nevada Regional Medical Center in Nevada, Missouri, making many friends in the other employees and patients. Mandi had one speed-Go! Her work ethic was amazing and she enjoyed every minute of it. The ‘dash’ in Mandi’s life was definitely fulfilled. The love and light of her life was her son, Brant Mikel. 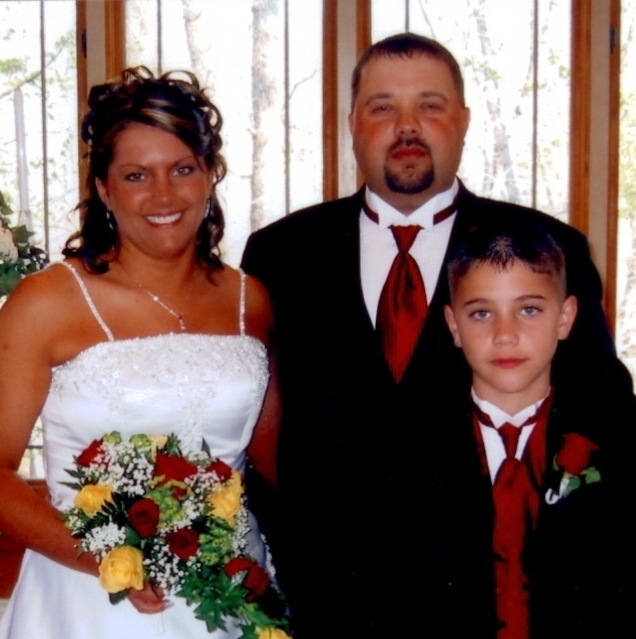 Mandi became the wife of Shane Vinchattle on April 8, 2006. Together, they enjoyed the home they recently built, working outside in the yard, and hunting and fishing. She loved scouring flea markets for treasures to decorate her home with. Her greatest joy was being involved in Brant’s activities, whether it was sports, hunting, or just being together. Preceding Mandi in death were her grandfathers, Elwood Harvey and Marvin Eslinger. Survivors include her beloved son, Brant Mikel Boultinghouse; her husband, Shane, both of the home; parents Larry and Kristi Eslinger; sister Shannon; twin nieces Korissa and Kamber; nephew Jonathan; and 2 great nieces and 1 great nephew; in-laws Barry and Cindy Vinchattle; sister-in-law Stacey Bussard and husband Andy of Raymore, Mo; nephews Logan and Luke; niece Abby; grandmothers Evelyn Harvey and Belva Poston; step-grandmother Blanche Eslinger; and numerous aunts, uncles, and cousins. Funeral services for Mandi Vinchattle were held on Friday, December 23, 2011, at 11:00 a.m. at the El Dorado Springs Church of God (Holiness) with Pastor Joe Trussell officiating. Tim Wilson provided music. Interment followed in Clintonville Cemetery under the direction of Bland-Hackleman Funeral Home. Pallbearers were Jim Swopes, Beau Swopes, Jonathan Koger, Andy Bussard, Bill Majors, and Travis Bradley.